From blond and buff to saffron and pear, choosing a paint color can intimidate even the most enthusiastic DIY-er. Yet you don’t need a celebrity stylist or a high-end interior designer to find what hue paint is right for you. In fact, you really only need to spend a few minutes thinking about two considerations: color and style. When you need a color scheme for a room redo, the first place to look for inspiration is to the hues you love—after all, even a 3-year-old can rattle off their favorite color! As a little girl, did you insist that every piece of your clothing, from socks to barrettes, be pink? Do you find yourself drawn to artwork that pops with a royal shade of purple? By identifying the colors that attract your eye—whether bold or bashful—you’ll start to form a vision of the hue that’s perfectly suited for your personality. You might think that style is just something you see in a magazine. Even the word “styled” typically conjures up images of a professional who does nothing but dresses clients or sets on a photo shoot. Yet the reality is that you already have a style that will lead you to that perfect paint color. Are you mad for the swaggering style of Mad Men? Use muted wall colors as a backdrop for retro-inspired furniture. Do you prefer a comfy flat to a Jimmy Choo? Then choose colors that reflect a more casual and comfortable style, such as a warm neutral accented with relaxing tones of blue or green. Remember there is no right or wrong answer when it comes to the colors and styles you love. In fact, you might even find that you prefer a mix of colors and styles depending on your mood. That’s okay, too. Picking a paint color is all about discovering what you’re comfortable in, what’s appropriate for you, and what makes you feel good. 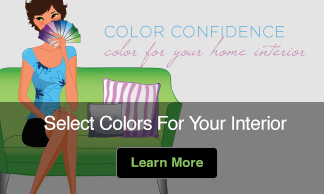 So when it comes time to choose a color, don’t let fear stop you from choosing a paint color. Think about color. Think about style. 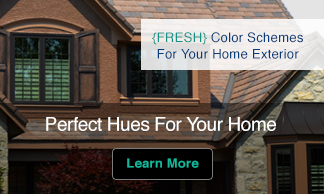 Find the perfect hue for you.